Yuasa Battery, Inc. has been the leading manufacturer of motorcycle batteries in the world, building batteries in Japan and the U.S.A. to uncompromisingly high standards since 2000. 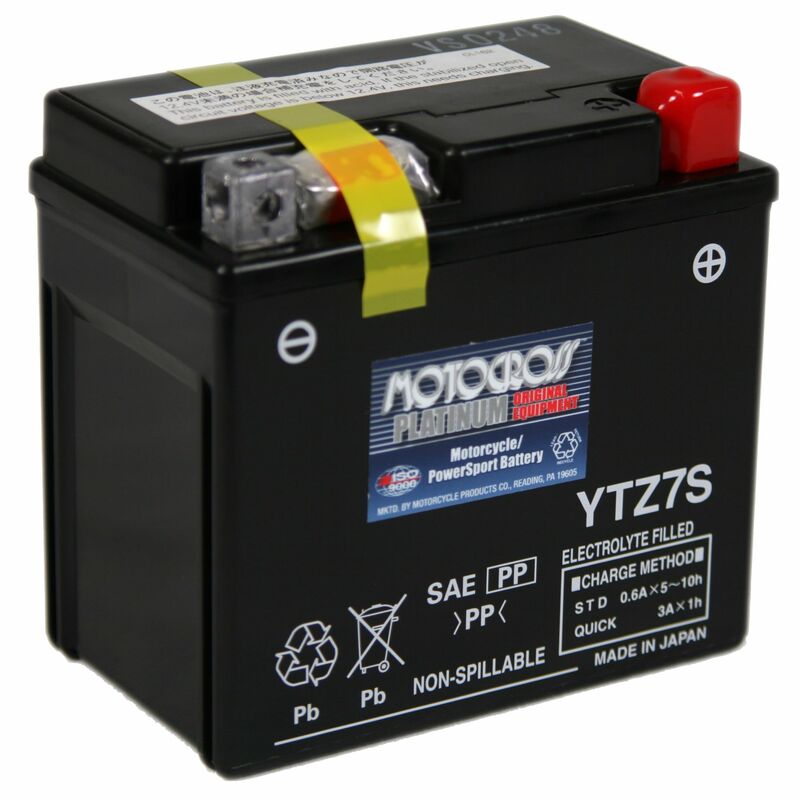 They are the largest American manufacturer and the largest distributor of batteries for motorcycles, snowmobiles, scooters, all-terrain vehicles and personal watercraft. Rated 4.67/5 Stars from 6 customer reviews. Do you own the YTZ7S? Please, tell us what you think about it. It helps us provide you with better products. Please note that it may take up to 72 hours for your review to appear. Pros: Lots of good, strong power - replaced crappy stock battery on 08 KTM 450 EXC... SHOULD HAVE CHANGED IT RIGHT OUT OF THE CASE! I have learned that it is not healthy to eat batteries. Pros: I am ordering a new YTZ7S, The I have in my TE250 2005 Husky just about 3 year's old. I keep it trickle charged always.But now it time to put it to rest.It does not whant to eat any more volts. Cons: shortly after purchasing (may have used about 1 week) i put my bike in storage.. took battery out and put on a battery tender. it sat there for 3 years. when i finally took bike out of storage and put battery back in, while the tender showed it was charged... once connected to bike and tried to start, it clicked and my terminal wires started to smoke. battery shorted i guess. i dont know if just leaving it on a tender that long was problem, or if that is just expected life. 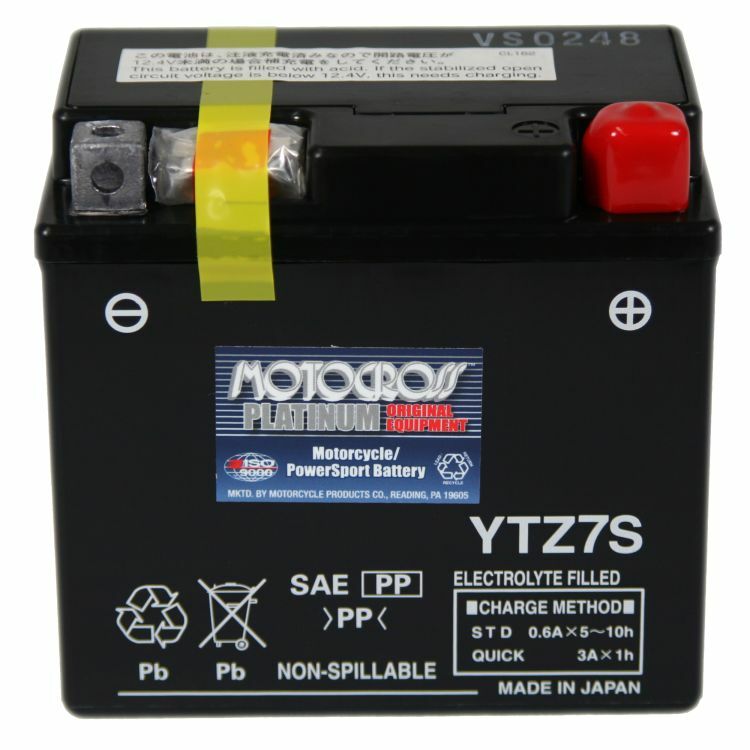 anyway i have ordered another and am not going to knock the battery because of the out of ordinary circumstance. when i've put some time on this one, i'll update review.